With the recent news of Malaysian e-sports athletes creating history by winning US$1.4 million (RM5.6 million) in a competitive game of DOTA2, society is slowly being exposed to the idea that our local gamers are honing their talents for something many believed was simply a waste of time. For our local gamers though, we still don’t have much of a community to broadcast and livestream gameplays to share the experiences we have when playing. 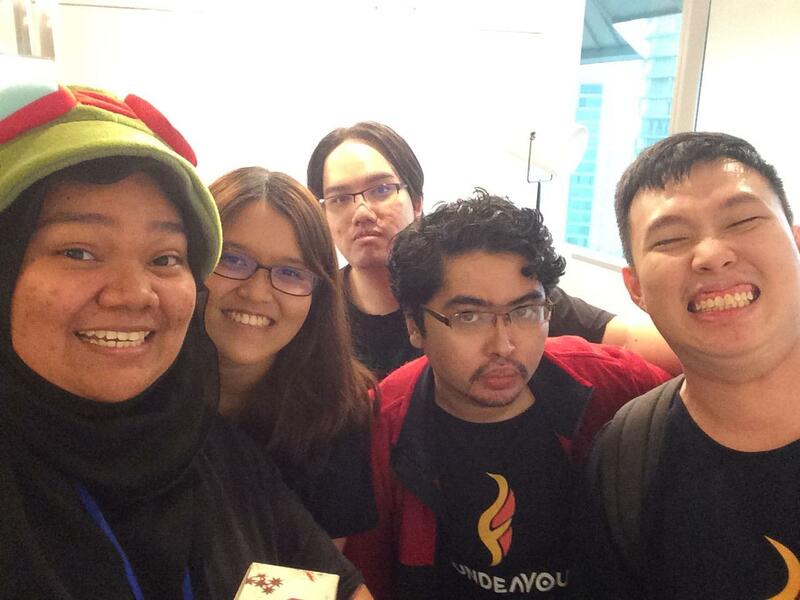 So this trio of gamers had the idea to create a platform where gamers not only in Malaysia, but all over the world could join and interact with one another over their mutual passion. 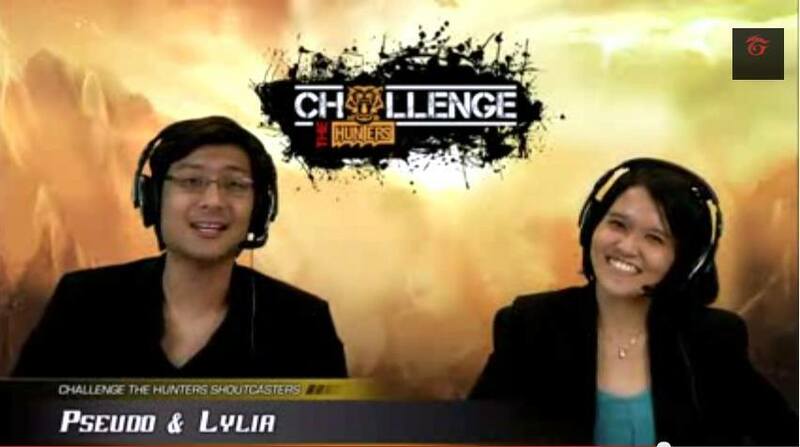 One of the founders, Michelle Tan, had always dabbled in the gaming industry through tournament shoutcasting, which is essentially providing live commentary to an audience during an e-Sports match. She also handled her own streaming on the website Twitch. While doing this, she noticed the absence of a hub where gamers could gather to potentially be discovered by the masses and even sponsors seeking for gaming talents. Michelle then sat with her co-founder Ariff and discussed this over lunch one day, in hopes of persuading him to jump on board as her tech co-founder. They then added the final member to their trio, Nicholas, who happened to be Michelle’s League of Legends amateur team coach, due to his experience as a community manager. The team then brainstormed together and came up with Fundeavour, a platform where gamers everywhere can get a headstart in the fields of e-sports, YouTube gaming and livestreaming. “We wanted to come up with a name that was catchy and reflected what we wanted to achieve. In the end, we decided on Fundeavour, a portmanteau of ‘fun’ and ‘endeavour’. This best represents our vision of becoming a hub for gamers everywhere to connect, have fun, and strive to make a name for themselves,” said Fundeavour to Vulcan Post. The idea started back in October 2014 but the opportunity to bring it to reality only arose under ‘CodeAr.my’s Project Brainchild’ pre-accelerator program, which was an initiative supported by Khazanah Nasional Berhad that encourages entrepreneurship and innovation within the Khazanah group of companies and the public. Fundeavour went through Batch One of the program and in 2016, decided to go live and has been functioning ever since. For those who wish to be recognised as professional gamers, the path ahead is not an easy one. So Fundeavour aims to be the bridge that connects gamers with their potential audience and sponsors who can help them realise their dream careers. 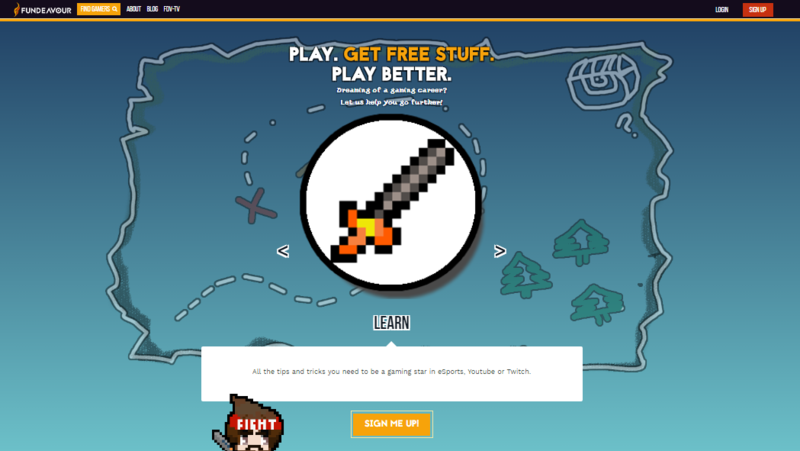 Users who register on the site are able to redeem gaming merchandise based on points they receive when completing ‘quests’ available on the site. “Our quests are a little unique as they are not the average ‘battle’ quests. We wanted to devise a fun way to encourage gamers to follow their passions, and the paths help you work out what you need to go further. We’re definitely exploring new ways for our quest system to continue to motivate our gamers to do this,” said Fundeavour. Currently Fundeavour has over 3,000 gamers signed up from over 22 countries worldwide. Out of that number, their users have already completed over 10,000 quests, and counting. There have also been 20 rewards redeemed since the launch of the Rewards portion in April this year. When it comes to their rewards, Fundeavour wants to ensure that they’re consistently stocking up and refreshing the rewards based on the agreements with their partnered gaming brands. 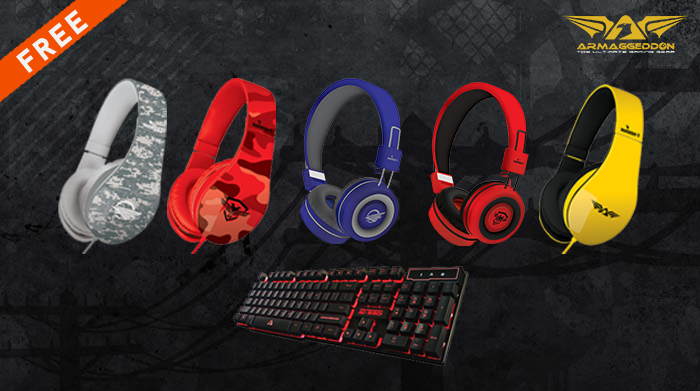 “The biggest rewards we’ve offered have been headsets and keyboards, notably the current Adventure with Armaggeddon where we’re offering their latest line of mobile gaming headsets—the Molotov 5! We also offer opportunities for gamers to feel what it’s like to be sponsored, including opportunities to be picked to review top-of-the-line equipment for some of our brands,” said Fundeavour. With approximately 5 years worth of experience dabbling in the gaming industry between the 3 founders, from shoutcasting and professional gaming to game development, Fundeavour believes that being gamers themselves qualifies them to understand what goes on within the community and what gamers truly seek for. 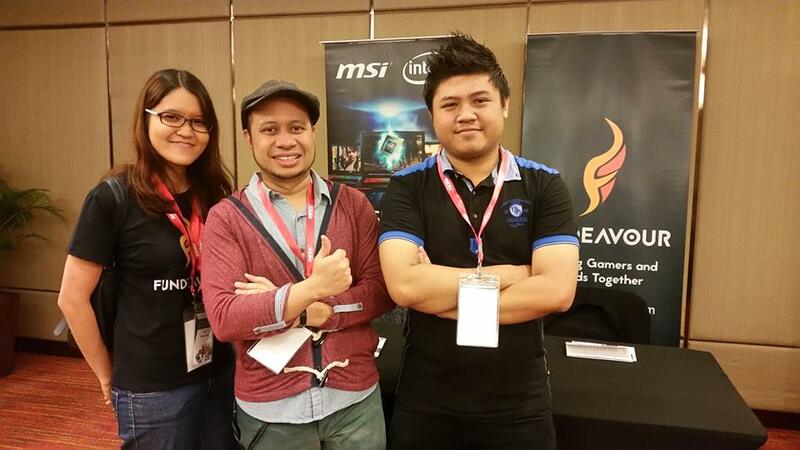 “I worked as a part-time shoutcaster for Garena League of Legends in 2013, created YouTube videos and streamed on the side; Ariff “Ravenost” Wambeck worked on game development and design in his spare time, while Nicholas “Nih” Ngo was formerly a competitive player for League of Legends and Call of Duty 4: Modern Warfare. 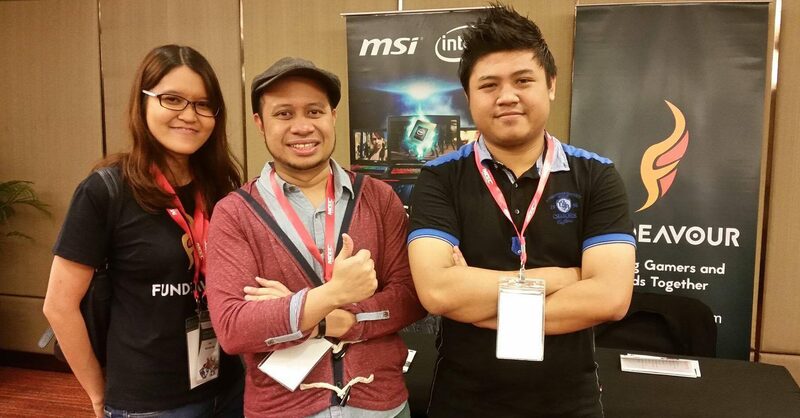 So it’s safe to say we have a good insight on what the gaming community is like in Malaysia,” said Michelle. 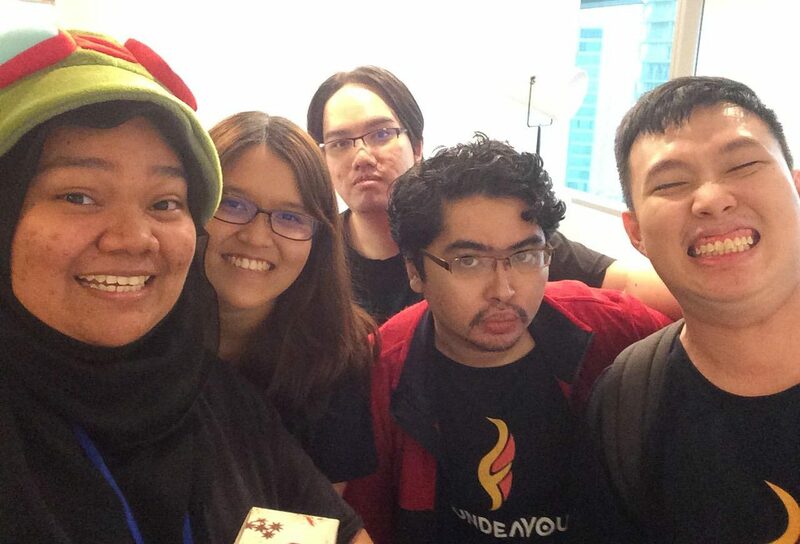 When asked if Fundeavour had succeeded in helping any gamers get more recognition, the team cited Malaysian YouTubers safwangba and CallMeMok both reported an increase in subscribers since joining Fundeavour, the latter doubling his count from 100+ to 200+. CallMeMok believes 70-80 subs are attributed to Fundeavour’s assistance. “Besides YouTubers, we also currently help promote our top gamers via a partnership with Gamer Malaya, where the top three gamers on our leaderboard every month gets an exclusive interview written about them and published on Gamer Malaya.” said Fundeavour. Talking about the future of gaming in Malaysia, Fundeavour believes it to be vast and that there is still much unexplored potential out there just waiting to be discovered. Seeing as YouTube gamers have grown in popularity and are among some of the most subscribed channels on the site, it’s clear how influencial gaming is and Fundeavour hopes the gaming industry will no longer be limited to just gamers becoming greater gamers. The team hopes for Fundeavour to be the hub for gamers to go to if they want to kickstart their gaming passions in eSports, Youtube and streaming. Whoa. Malaysians Were Behind Some Of The Iconic Titles In The Gaming Industry? !